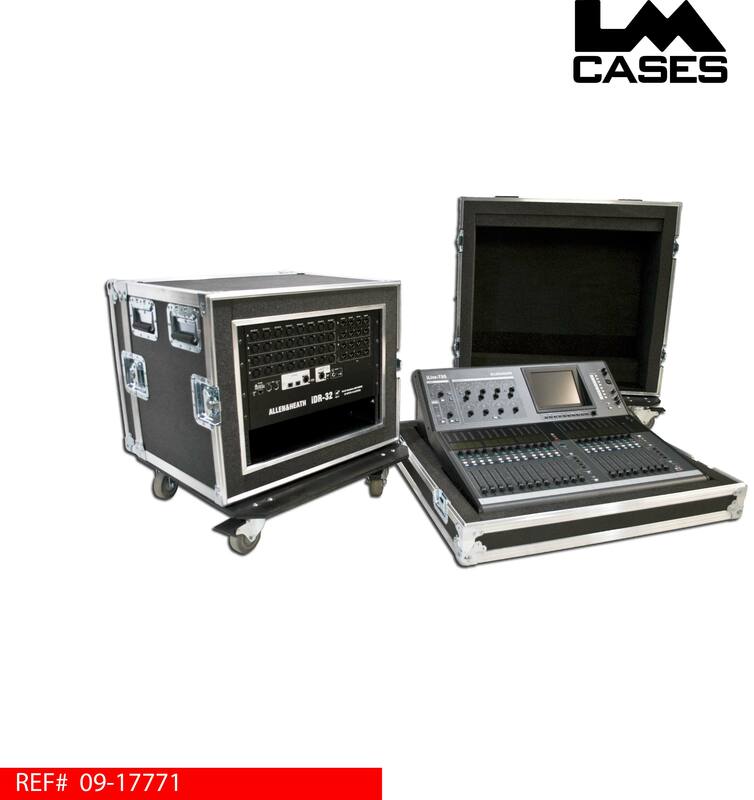 These cases were designed for Presentation Services (PSAV). The case set is designed to hold the Allen & Heath iLive T80 and the iDR32 remote stage box. 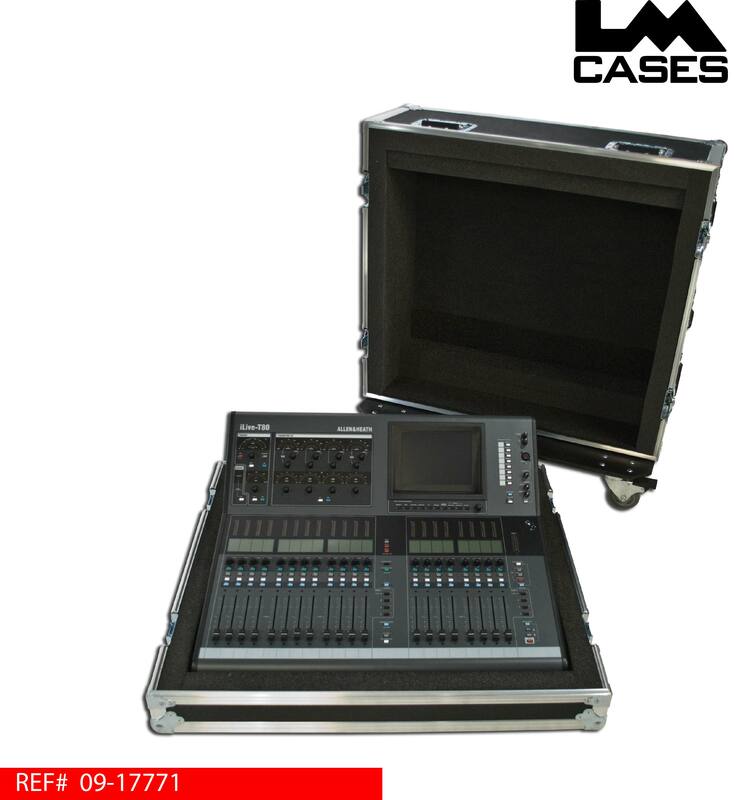 The console case is built from 3/8" plywood and features a 2" foam lined interior, 3.5" casters, custom PSAV ID tag, and the 2 color PSAV silkscreen. The stage rack outer shell and inner rack are also built from 3/8" plywood. Inner rack is mounted in 2" foam surround and has both front and rear pre-tapped rack rail. 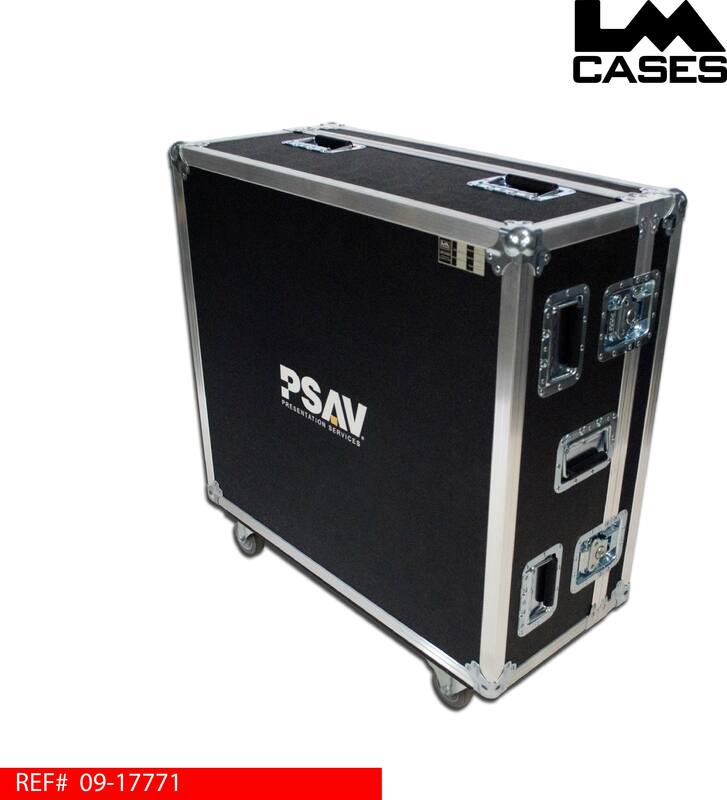 The exterior case features 3.5" casters, custom PSAV ID tag, and the two color PSAV silkscreen.